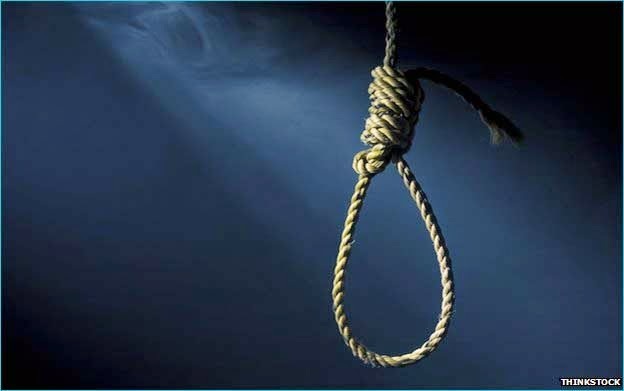 A Delta State High Court sitting at Ughelli in Delta State has sentenced one David Tamarakpo Pade to death by hanging for armed robbery and kidnapping of wife of a retired judge of the Court of Appeal, Mrs. Roli Awala. The court also sentenced two of his accomplices to a total of 19 years in jail with hard labour for the same offence. The court, presided over by Justice Ebiowe Tobi, found the three accused persons guilty on various counts, while delivering its verdict amidst tight security for the trial that lasted several hours. The court proceedings were, however, intermittently inte-rrupted by several deafening sounds of explosives, which were later discovered to be sounds of traditional canon fired to herald the arrival of party leaders to a campaign rally held very close to the court premises. The convicted kidnappers include a popular herbalist, Moses Omiovwobese, who was sentenced to two years in jail for accessory on grounds that the kidnapped victim, 54 years old Mrs. Roli Awala was rescued from his shrine by the Police. He was discharged and acquitted on the other four-count charge, while first accused, a 39-year-old Happy Opute, driver to the retired Court of Appeal Jurist, Honourable Justice A. P. A. Awala, was found guilty only on the count of conspiracy to commit kidnapping and was slammed with seven years jail term with hard labour. The second accused person, David Tamarakpo Pade, was not that lucky as he was sentenced to death after being found guilty of four of the five count charges, including that of armed robbery. An Assistant Director from Delta State Ministry of Justice had told the court that the three accused persons with two others now at large, on or about August 5, 2009, at Ireden Crescent, GRA Warri, within the Warri Judicial Division, kidnapped one Mrs. Roli Awala and held her for six days before she was rescued. He also told the court that they robbed the victim, her husband and daughter of their mobile phone and Honda salon car, while armed with a gun. The kidnappers were said to have asked for an initial ransom of N50 million, but later reduced it to N25 million before she could be released. The court, however, discharged them on the count of demanding property with menace.